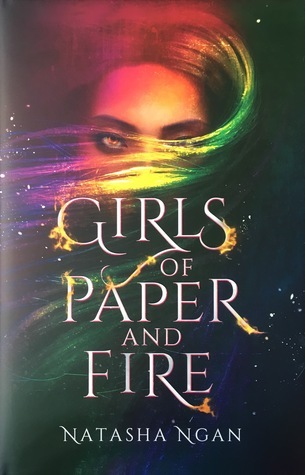 I am currently reading Girls of Paper and Fire by Natasha Ngan. There is a tradition in our kingdom, one all castes of demon and human follow. We call it the Birth-blessing. It is such an old, deep-rooted custom that it's said even our gods themselves practiced it when they bore our race onto the earth. I am reading this for the Fairyloot Readalong, reading roughly 50 pages a day from the 15th to 21st November. I'm not going to lie, I have Expectations. I am so excited to be reading this book. I have heard so many amazing things. This book comes very sensibly with content warnings printed right at the front, and a list of numbers for if you are affected by any of the issues raised. I applaud the publisher for putting these in, as it's something than can help people so much. A wooden tub is brought to the room and filled with warm, fragranced water. While she bathes me, Lill quizzes me about my life before the palace, questions tumbling from her mouth so quickly I barely finish answering one when the next comes. This is exactly where I'm up to and... Wow. It's been intense so far. SO intense. Like, I had to take a break already and I'm only 56 pages in. 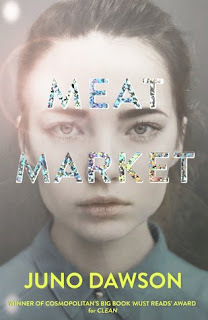 I love the writing style, the story so far is shocking but engaging and I am quickly falling in love with Lei. Glad to hear you are enjoying your read. That is the point of reading, no? My quotes are from HEY, KIDDO a graphic memoir. I definitely want to read this, it's on my want list! Sounds intense!! Happy weekend! I added you to the linky. This book sounds interesting, always looking for recommendations for new books to read. Thank you for sharing. Hey lovely, I don't tend to read sort of book review blogs, but I felt really bad about not leaving you a comment back! The words of this book seem to be so beautifully written. If you have finished it by now, I am sure it was a great read!